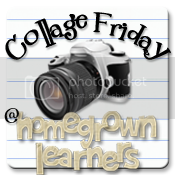 Collage Friday - They're Trying to Pay Off The Mortgage! It's been a busy week. Highlights for the kids included co-op starting on Thursday. I cannot begin to express what a BLESSING our co op is to us. The friendships, support, educational opportunities, and love of God are astounding. The highlights for me included working out with a fellow homeschool mom (doing water aerobics!) in the middle of the week, having lunch (at co op) with two great moms, and attending a Mission of Motherhood book club meeting. The friendships I have made (and continue to make) enrich me in a way nothing else can. Hands down, the homeschool moms in our community were my favorite resource this week! 1. Knitting! I'm helping teach a class at co op - "Femininity". It is a group of middle grades girls. We knit and chat. I love it! 2. We've been learning a little about the Medieval catapult. Dad and GMan spent several hours working on this Erector catapult. It was complex, but such a great learning experience! 4. Writing With Ease - This writing program is phenomenal. I am watching both children's narration, dictation and copywork skills soar. It is rigorous and challenging, but it is worth every extra effort. We do WWE Tuesday-Friday like clockwork. It never ceases to amaze me the calming influence a routine has on all of us. 5. Simple Machines - The kids attended a Simple Machines class put on by Bricks 4 Kidz. It was quite good. They worked together to create simple machines. My children made a ferris wheel with a motor. They came home and were fiddling with their Legos using a lot of the terminology they had learned in class. *I never would have thought the iPod Touch would be such a great thing for them. Miss B got one for Christmas, and she has loved it. This week the kids made a video of themselves reciting all of the US Presidents, and also singing the Preamble to the Constitution. We have packed it full of educational apps (and a free texting program for texting aunts and a couple close friends). We are all addicted to Words With Friends, Hanging With Friends, and Scrambled With Friends. I KNOW these word games are beneficial to my children ~ and my husband and I! 7. Miss B made smoothies for us this week out of her new cookbook. The strawberry smoothies were especially good! She is gaining more responsibility in the kitchen and enjoys the freedom and creativity. 8. We are knee deep in Medieval history now. We are basing our read-alouds on this time period and I'm picking up any and every book we can find. This particular book I found at a consignment shop for $1.00. Can't beat that. 9. The picture is dark because it was after dark... two excited girls roller skating. Miss B and one of our dear homeschooling friends were skating and chatting the night away. This little girl is one of my piano students, too... I love the precious friendships that are formed because we are homeschooling. 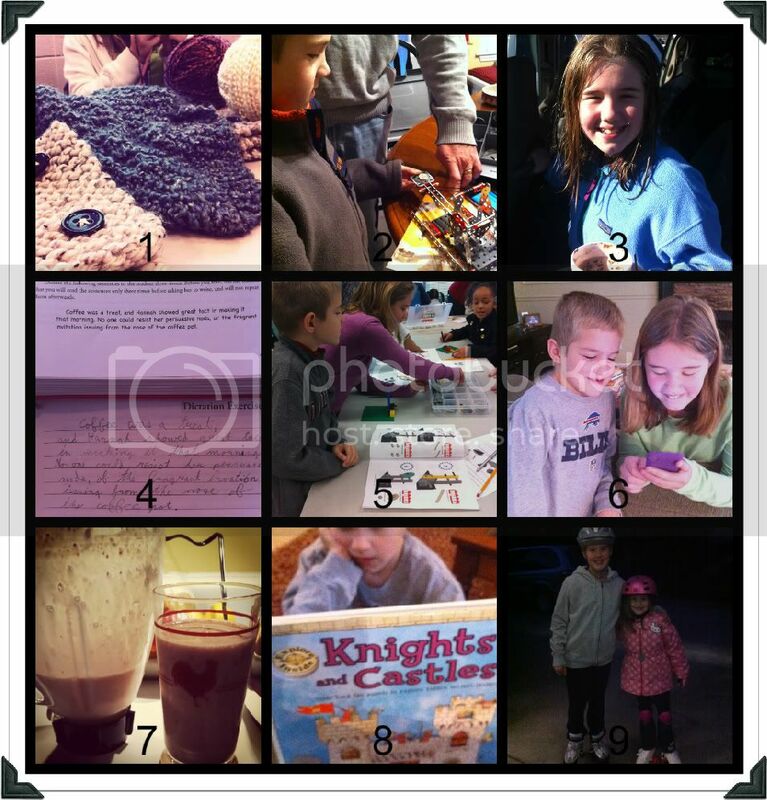 If you'd like to link with Collage Friday, please grab a button, make a collage, and tell us about your week. Can you include any helpful links for us or great ideas?